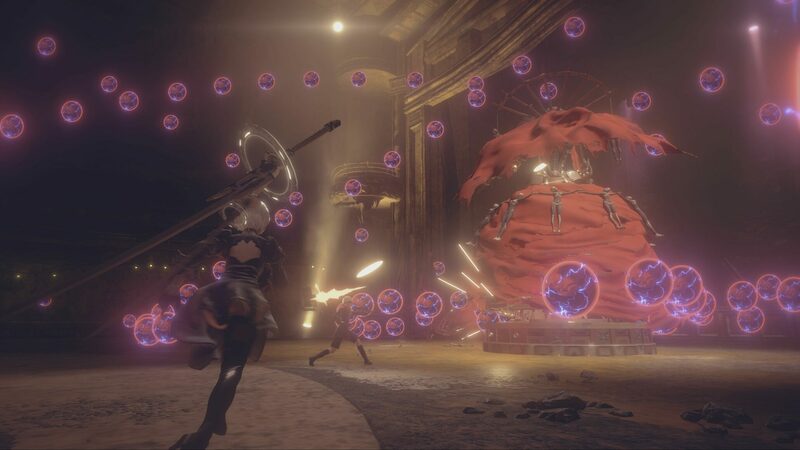 The excellent action role-playing game by Platinum Games and Square Enix, NieR Automata, will hit Xbox One later this month as NieR Automata: Become as Gods Edition. The new edition of the game has been confirmed during the Microsoft E3 2018 press conference. It will release on June 26th complete with all additional content released on PlayStation 4 and PC. A beautiful 4K trailer has also been released, and you can check it out below. Invaders from another world attack without warning – unleashing the machine lifeforms. To break the deadlock, a new breed of android infantry is sent into the fray: the YoRHa squad. Highly-acclaimed and award-winning NieR:Automata™ is a fresh take on the action role-playing game (RPG) genre that gracefully blends mesmerizing action with a captivating story. The NieR:Automata™ BECOME AS GODS Edition includes the action-packed 3C3C1D119440927 DLC* which features “Revealing Outfit” costume for 2B, “Young Man’s Outfit” costume for 9S and “Destroyer Outfit” costume for A2. After completing new sub-quests in this DLC, you can enjoy playing the game while wearing these costumes from NieR Replicant. Sub-quests take the form of three different battle challenges at three different colosseums. NieR Automata is now out on PC and PlayStation 4 in all regions. The Become as Gods Edition will release on Xbox One on June 26th.